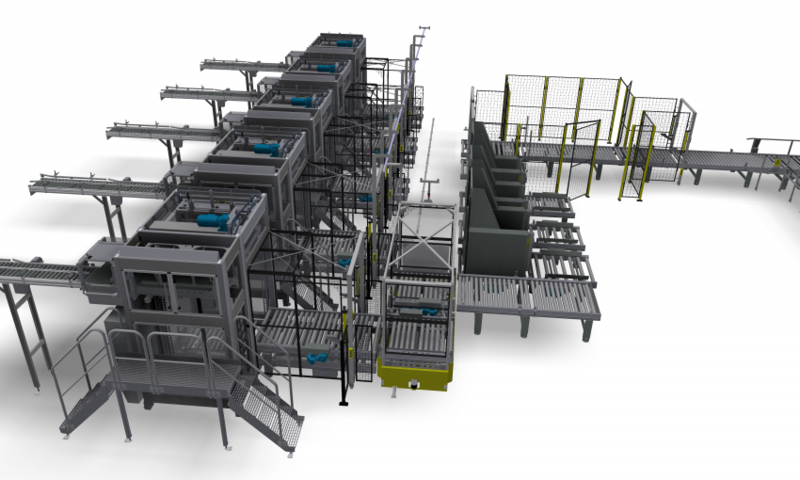 Wernsing processes various types of potato and salad products and has a number of ComPact 128 LV palletisers installed at its production plant in Addrup-Essen. This delivery has an integrated sheet dispenser and fully automated empty pallet/full pallet handling system. Emmi AG has invested in 2x ComPact 128 LV. One of the machines is adapted for the palletising of 3, 10 and 20 L buckets but also 6 × 1 L in trays. Our first delivery to Pågen consists of a fully automatic ComPact 128 LF palletiser. 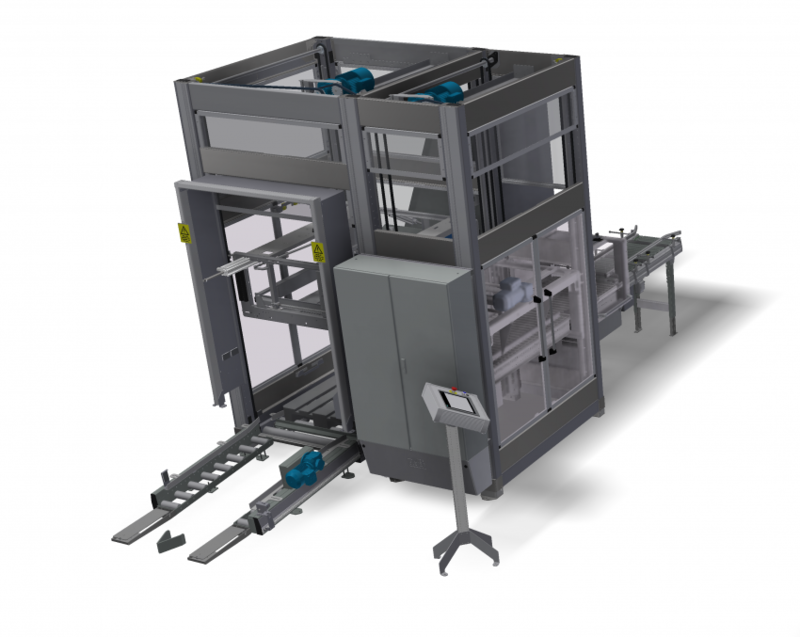 The palletiser is fitted with 2x pallet magazines to facilitate handling of pallet types. In the machine, 600 x 400 boxes are also palletised with stacking pins. Kjeldberg Kaffe took delivery of 2x ComPact 128 LV with pallet magazine, where a ready pallet is picked up by hand truck. You cannot be more ComPact than that! Cwk produces skin care products, partly own brand but also as private label. The plant consists of 3x ComPact 128 LF palletisers with a joint system for the supply of empty pallets. Full pallets are fed out at floor level and picked up with a stacker or hand truck. The machines have a system of moving slots, providing the flexibility to meet the pallet pattern requirements from different customers. New pallet patterns can be entered by the operator via InterCreate, InterSystem’s operator interface, to create new or customise existing patterns directly in the operator panel. As a producer of oat-based drinks and with previous experience of InterSystem’s palletising solutions, Oatly has invested in a new 5-pallet palletising unit. 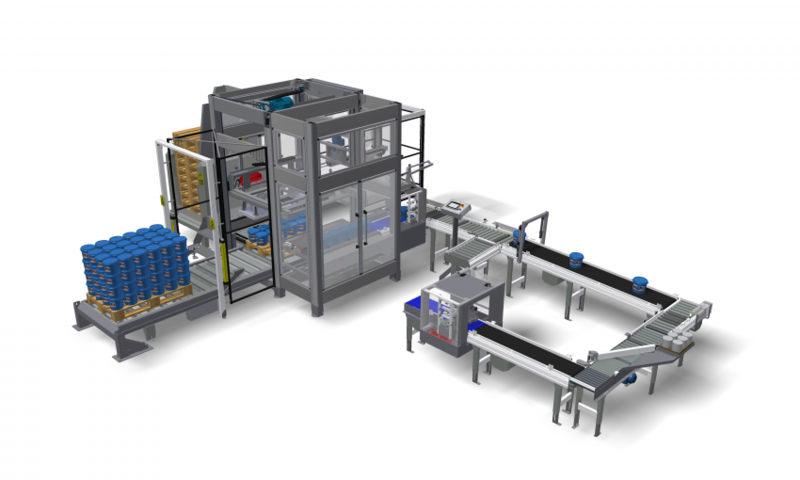 The unit is based on 5x ComPact 128 LF with common empty pallet system, 3x different pallet types, and full pallet handling as well as stretch film wrapping and pallet marking. Findus in Bjuv chose our Inline setup with a ComPact 128 LF to handle independent palletising on each line and thus high availability. The system has pallet alignment equipment and optical pallet control. In 2013, Lantmännen sought a new supplier of palletising equipment and the choice fell to InterSystem. The unit is adapted for three different pallet types and consists of 4x ComPact 128 LF and 2x stretch wrappers. 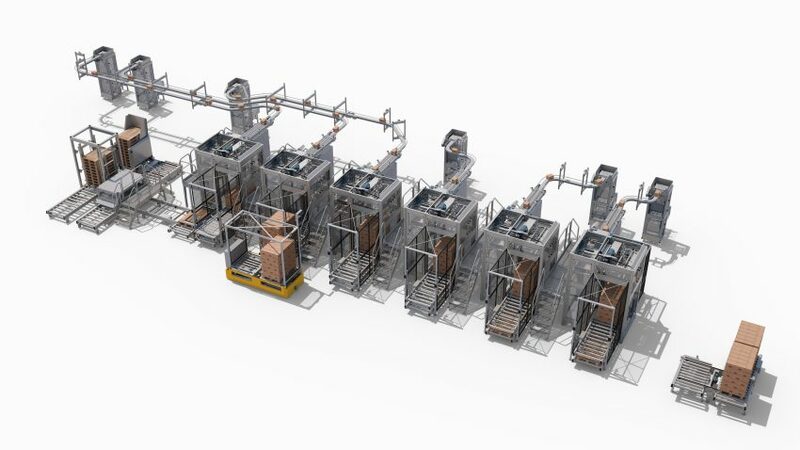 All empty and full pallet handling is done on the same side, which allows easy access for the operator and provides a complete solution adapted to the premises. In 2017, Nortura in Tönsberg took delivery of a complete, new unit that takes care of all palletising when moving from the return box to the WA box. The unit consists of 4x ComPact 128 LV and a ComPact 128 Multi. In total, we handle products from six production lines. Stretch film wrapping and pallet marking is an integral part of the system. A fairly extensive transport system with vertical conveyor handles the goods from the packaging machine to palletising. When Danish Crown constructed its new facility in Jönköping, out role involved supplying the equipment for depalletising, destacking of empty boxes and stacking of loaded boxes. The system can handle three different types of pallets, empty and full pallets are handed by transfer trolleys. At the end of the system, a top sheet is applied and the pallets are stretch-wrapped, before being stacked two by two for buffering. The feeding system is made up of ImPulz 50 continuous vertical conveyors and the boxes are then fed by lamina chain conveyors on the roof to palletising. This is our largest facility regarding an inline configuration. The first delivery consisted of 12 ComPact 128 LF palletisers in stainless steel, ImPulz 80 empty pallet and full pallet system and 3 stretch film machines. After 3 years we added to the facility with a further 6 palletisers and 1 stretch film machine. In total we handle 18 lines with a joint system for empty pallets and full pallets out to the warehouse. 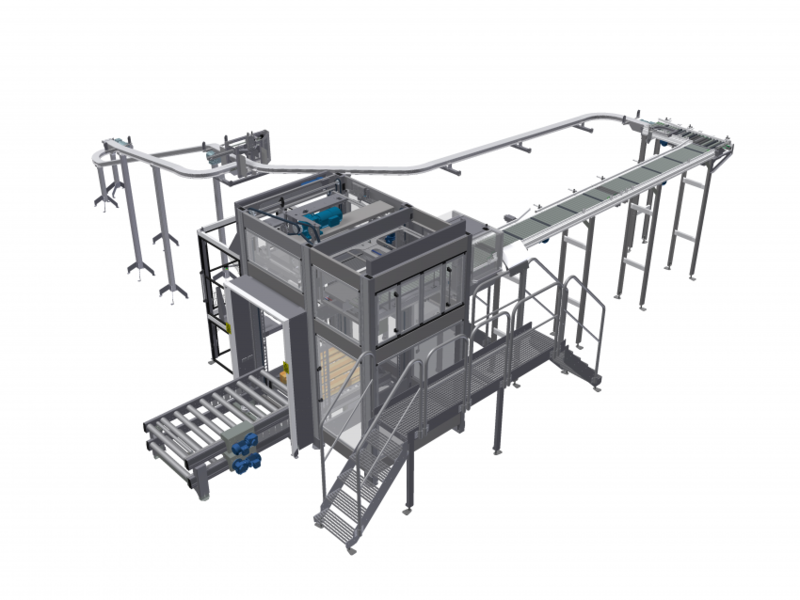 For Delica, who package coffee, tea, nuts and other dry products, InterSystem supplied 5x multi-palletisers, each handling two product flows, in other words handling the product flow from ten packing lines in total. Empty and full pallets are handled by a common ImPulz 80 pallet management system, and we have also integrated a fully automated stretch wrapper. The infeed system comprises our ImPulz 50 light goods system with continuous vertical conveyors, roller conveyors and lamina chain conveyors. Sorting takes place via scanners before palletising. A ComPact 128 LF and a ComPact 128 Multi that can handle two product flows were the ideal choice for 3-line palletising in a limited space. The system includes our continuous vertical conveyor that carries the goods up to the transport level to allow better access around the machines. 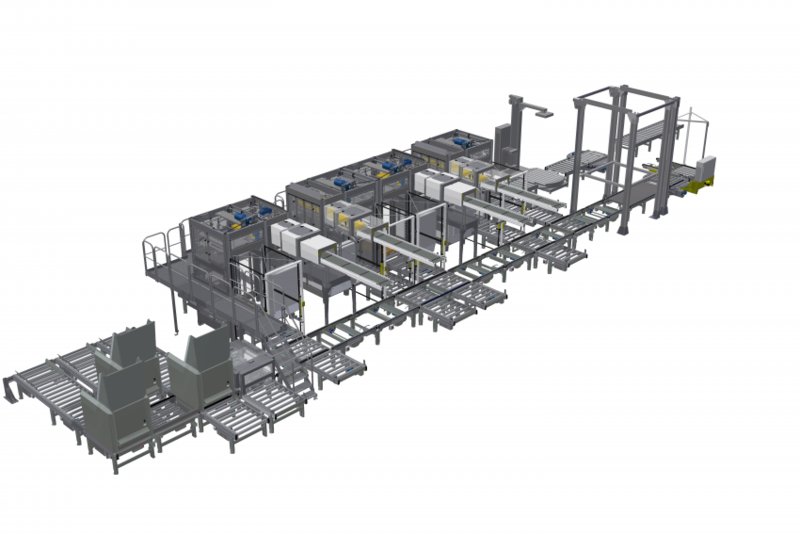 In 2017, Apostle, a manufacturer of yoghurt and tzatziki products, invested in a ComPact 128 Multi. 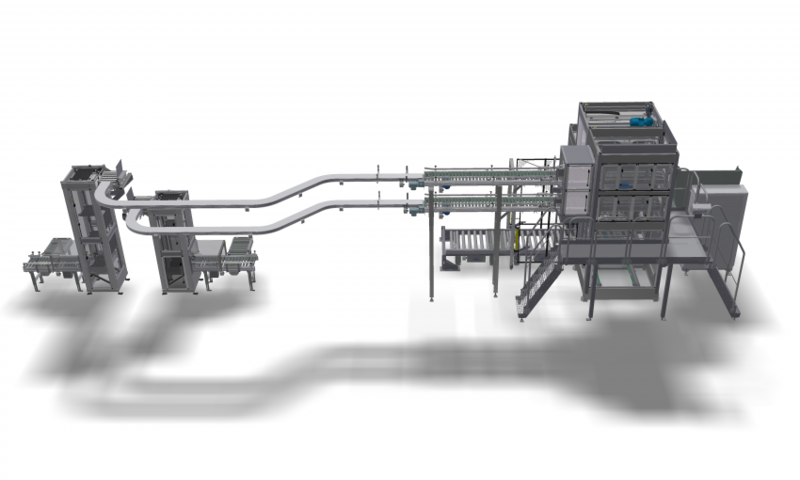 This machine can handle two product flows at the same time and provides a highly space-efficient solution for a reasonable investment. The transport system for incoming products and loaded pallets is built around our own ImPulz50 and ImPulz 80 conveyor system. Apostle has also invested in a single ComPact 128 LV adapted for palletising of 3, 5 and 10 L buckets. 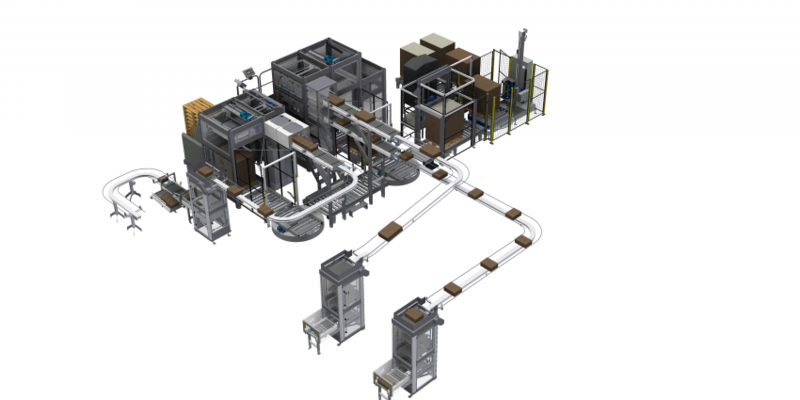 In Simrishamn, NSW has constructed a modern bottling facility for bottle and bag-in-box lines. InterSystem has supplied product transporters between different filling and packaging machines and a Multi palletiser for two product flows. The palletiser can palletise full, half or quarter pallets and handle both boxes and open trays. We later supplied an advanced system for stretch film wrapping all pallet types separately, or also jointly for full pallets. Spangler Candy is one of the United States largest producers of sweets, mainly in the form of lolly pops. 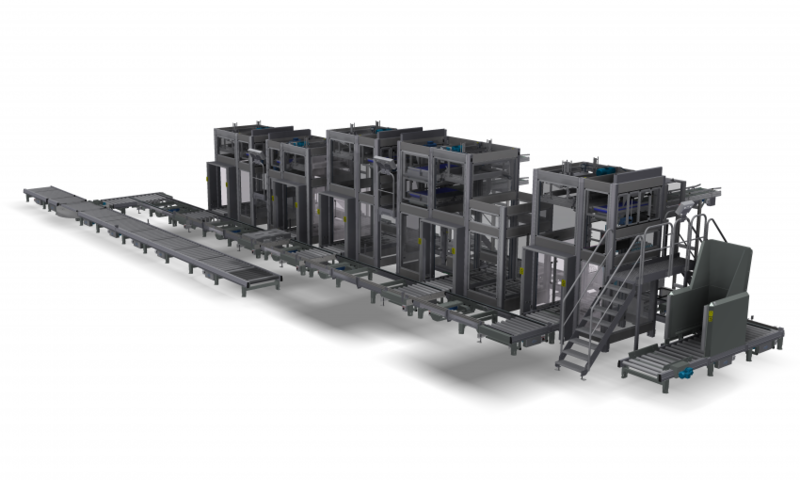 In 2012, we supplied 4x ComPact 121 LF palletisers, each able to handle two product flows. 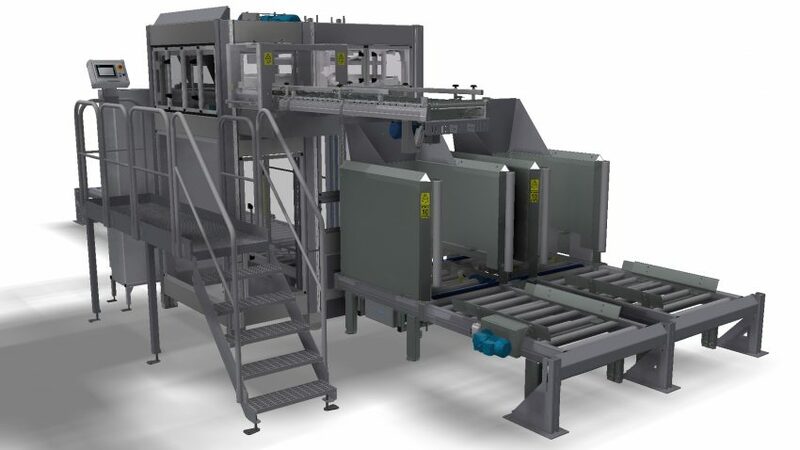 It includes two empty pallet magazines for different pallet types, and the feeding of empty pallets to the respective machine via a transfer trolley. Full pallets are handled by transfer trolleys and ImPulz 80 roller conveyors to the existing stretch wrapper. The infeed system comprises continuous vertical conveyors and ImPulz 50 roller conveyors. Arla Foods Högelund produces Castello DanaBlu in a modern factory in Jutland. In 2010, we supplied 3x ComPact 128 LF palletisers with infeed conveyors from the packaging hall to palletising in cold storage. Empty and full pallets are handled by driverless trucks, and the infeed and outfeed of pallets takes place from the same side, enabling a compact solution. In 2012, we were entrusted with supplying a further two machines with an ImPulz 50 infeed system. Arla in Esbjerg has been deploying palletisers from InterSystem for a long time. In 2017, it was decided to invest in three additional lines from InterSystem. 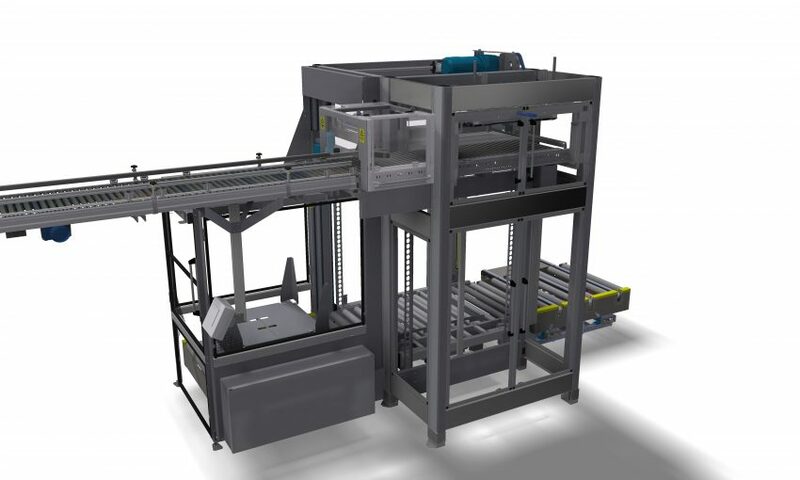 These machines are equipped with 180 degree product turners, lifting of pallets in load mode, shared loading tables and continuous infeed pushers to meet customer requirements for capacity but also flexibility. 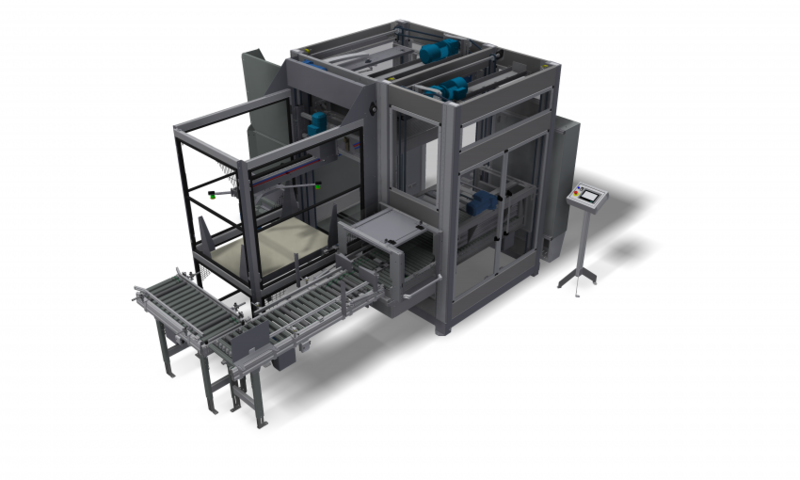 In 2017, one of our oldest customers, Binzagr CoRo, ordered an additional 2x ComPact Max to handle space-efficient palletising, approximately 4.7 m2, with a product flow of up to 40 boxes/min. In total, Binzagr CoRo has 15 lines equipped with palletising equipment from InterSystem. In 2015, Orkla invested in a palletising line from InterSystem for palletising cups in trays. The ComPact Max palletiser is equipped with a 90 degree product turner, lifting of pallets in load mode and continuous infeed pusher. Empty and full pallet handling is done via AGV on two levels. Arla Högelund produces blue cheese and a large proportion is exported. 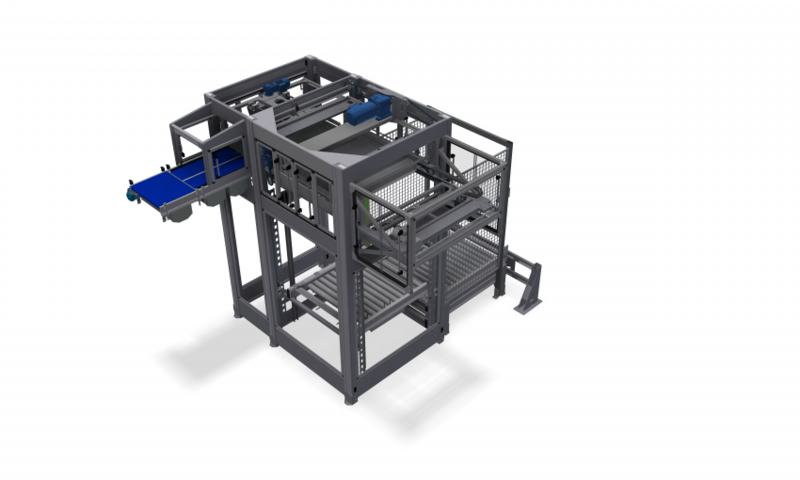 InterSystem has supplied 3x ComPact Max pallets, which are equipped with continuous product turner, lifting of pallet in load mode and continuous infeed pusher. Empty and full pallet handling is done via AGV on two levels. High capacity filling for bottles. 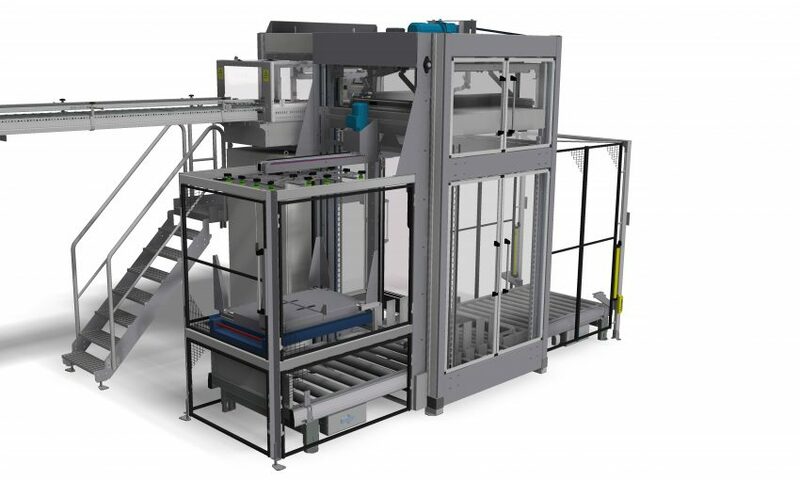 When Lactogal invested in a new high capacity bottle filler, InterSystem was entrusted with supplying its new ComPact 128 HC high-capacity palletiser. The machine handles approximately 50–60 products/minute.